Temple Nile is a new online casino that launched in the autumn of 2018 as the latest addition in the portfolio of gaming sites of the Malta-based operator White Hat Gaming Limited. 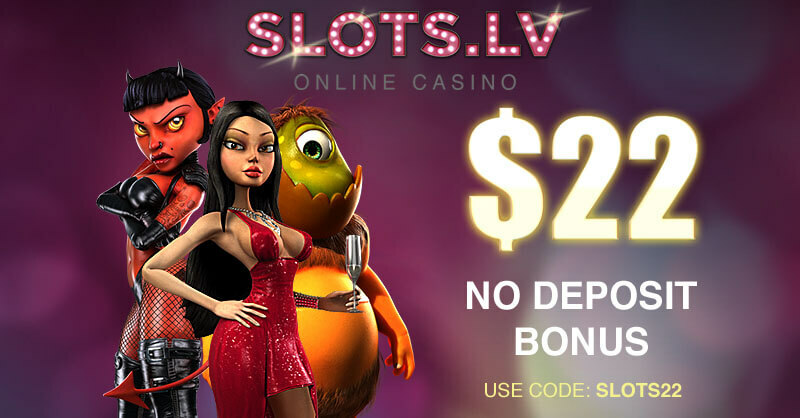 The casino offers a large and varied gaming collection, fast payments, and a generous 200% Welcome Bonus. Launched in late 2018, Temple Nile is one of the most extraordinary gaming platforms right now, both visually and in terms of game offering and overall reputation. This is an instant-play casino that comes with a modern, interactive design inspired by Ancient Egypt, its pyramids, mysteries and treasures. The site is available in several languages and players from all over the world are welcome to join via desktop or mobile device. The operator encourages players to enter the ancient chambers of the Great Pyramid and uncover its hidden treasures. 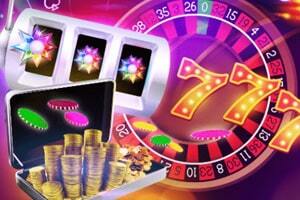 There are many progressive jackpot games on offer, as well as slots, video poker, card and table games. The Live Casino at Temple Nile, however, is one of the highlights – it offers content by two leading gaming studios, namely NetEnt and Evolution Gaming. Many other providers are represented in the Lobby, including Play’n GO, NYX, Microgaming, Barcrest, Bally, and more. When it comes to security and fairness, Temple Nile Casino truly excels as it takes extra measures to ensure that all games are random and fair and that all data is stored securely. Payments are protected and encrypted and overall, players can rely on safe and fast withdrawals via a wide variety of payment methods. Last, but not least, the online casino promises generous bonuses, as well as an interesting loyalty scheme with comp points that can be traded at the Temple Bazaar. Online Since Temple Nile Casino was established in 2018 by White Hat Gaming Limited. Minimum Deposit/Withdrawal The minimum deposit amount is £20 and the minimum withdrawal is £20. 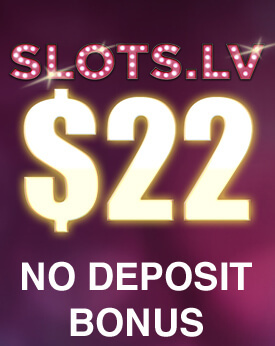 No Deposit Bonus The online casino does not currently offer a no-deposit bonus. 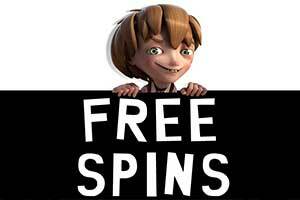 Free spins are subject to a 40x wagering requirement and the winnings from them are capped at £20. The maximum bet when playing with bonus funds is £5. Regular Bonuses Currently, as a brand-new casino, Temple Nile does not offer other bonuses, except for its Welcome Bonus. However, it will add new promotions and special offers, so players are advised to check the Promotions page on the website regularly. VIP Programme Temple Nile Casino rewards its most loyal and most active players with a fantastic VIP membership. The scheme has three tiers – Silver, Gold, and Platinum, each offering different perks and special bonuses – VIP bonus codes, priority support service, special Temple Bazaar offers and discounts, same-day withdrawals, and many others. However, access to Temple Nile’s Premium Lounge is by invitation only. 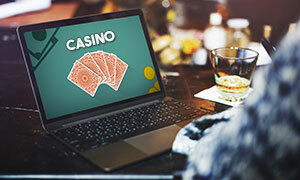 Software The online casino offers content from Microgaming, NetEnt, Play’n GO, Evolution Gaming, Bally, NYX Interactive, Scientific Games, Elk Studios, Leander Games, Red Tiger, Barcrest, Blueprint Gaming, Thunderkick, WMS, Lightning Box, and others. Popular Jackpots Players at temple Nile Casino will enjoy access to some of the largest progressive jackpots on the Internet right now, as the Lobby hosts Mega Moolah, Hall of Gods, Mega Fortune, Divine Fortune, Treasure Nile, Major Millions, King Cashalot, and many more. Game Types Temple Nile Casino’s lobby includes hundreds of video slots, classic slots, video poker variations, virtual roulette, blackjack and poker games, and scratch cards. Live Casino The Live Casino hosts a wide variety of blackjack, craps, and roulette games, as well variations of baccarat and poker. Mobile Casino Temple Nile has a fantastic Mobile Casino that is easy to access from every mobile device and without the need to download an app. 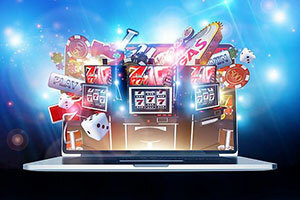 To open it, players simply need to load the casino site in the web browser of their phone or tablet and they will be able to sign in or register, make a deposit, claim bonuses and play their favourite games on the go. The Temple Nile Mobile Casino can be opened instantly on iOS or Android devices. Deposit Methods The online casino offers a wide range of deposit methods, including bank transfer for UK residents or for residents of the SEPA countries, Visa, Mastercard, Maestro, Entropay, Neteller, Skrill, and Paysafecard. Interac Online is also available for Canadian players. Currencies The casino accepts payments in many major currencies, including GBP, EUR, CHF, SEK, NOK, CAD, and NZD. Languages Temple Nile Casino site is available in several languages, namely English, French, German, Swedish, Norwegian, and Finnish. The multi-platform Temple Nile Casino has an impressive gaming collection and a lobby that is nicely organised. The games are divided into several categories, including Slots, Table Games, Live Dealer, New Games, Popular Games, Blackjack, Roulette, and Poker. In addition, there is a small section dedicated to Scratch and Fun games, where users can enjoy scratch card-style games. Players can also search the games by their title or by their provider. The selection of slots is the largest one at Temple Nile Casino and players can enjoy a wide variety of classic three-reel slots, as well as hundreds of video slots, which generally come with better graphics, more pay lines, and plenty of special symbols and bonus rounds. In addition, this category also contains a large number of progressive jackpot slots, which will be discussed separately. As Temple Nile works with many gaming studios, the content is varied and players can choose from plenty of styles and themes. The most popular slots on the website are from NetEnt – Gonzo’s Quest, Dazzle Me, Starburst, Guns ’n’ Roses, Twin Spin, and Microgaming – Thunderstruck II, Immortal Romance, the Twisted Circus, and Avalon. Players can also enjoy plenty of other famous titles such as Silver Lion, Poltava, Book of the Dead, Viking Runecraft, Rainbow Riches, or Forsaken Kingdom. There is a great range of 3D slots with superb graphical quality and beautiful, almost realistic animations. These slots are a relatively new trend in online casino games but they have already become extremely popular for their top-quality visual and sound effects, interesting storylines, and unique gameplay. Among these games are Rabcat’s Frozen Diamonds, Thunderkick’s The Rift, or Big Time Gaming’s Bonanza slot. Temple Nile Casino constantly adds new titles to its gaming library so its New Games category is a very useful one and players can always check the latest games. There are also slots inspired by books, movies, and TV, as well as video slots that pay homage to popular athletes or musicians. Great examples for this are Tomb Raider, Terminator 2, The Phantom of the Opera, Jurassic Park or Game of Thrones 243 Ways by Microgaming, Guns ‘n’ Roses, Jimi Hendrix, Planet of the Apes or Jack Hammer 2 by NetEnt, as well as Judge Dredd, James Dean and Psycho by NYX. Temple Nile Casino may focus on offering online slots, but it has not forgotten about those casino players who prefer classic table games such as roulette. This iconic game is usually played by high-rollers at the large and prestigious land-based casinos but in its virtual, online form, it is much more accessible. The flexible table limits typically allow even casual players to enjoy more than a spin or two of the wheel. At Temple Nile, bets start from £/€1 per spin and can reach £/€1,000 for the VIP tables. Patrons have plenty of options – they can play French and European roulette games, or try their luck at American roulette. These are the standard types of the game and the main difference between them is the number of pockets on the wheel – whereas the American roulette wheel has 38 numbered pockets, the French and the European wheels have only 37 pockets. However, there are even more variations such as Double Ball Roulette, Roulette Master or the Advanced series of roulette by NetEnt. 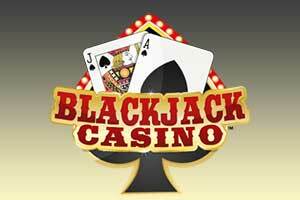 Blackjack, also known as Twenty-One, is yet another classic casino game that is offered in every good online casino. The lobby at Temple Nile hosts nearly 30 versions of blackjack by several software providers, namely NetEnt, Felt Games, Microgaming, and 1X2 Gaming. As a result, there is something for everyone – not only the design and the gameplay is different, the rules also differ significantly, especially in some of the variations. Players can opt for Microgaming’s beautiful Gold series of blackjack or NetEnt’s Classic versions, which are rather standard. The casino also offers Double Exposure, Pontoon, Single-Deck Blackjack, as well as several Blackjack Pro games by NetEnt. The titles provided by Felt Games bring even more variety as they feature interesting rules and additions to the standard gameplay. Blackjack 21+3, for instance, is an exciting 6-deck combination between blackjack and three-card poker where players can place a side bet – if your two cards and the dealer’s face-up card form a valid poker hand, you win the respective payout. Blackjack 6 in 1, on the other hand, unites six games into one, namely Perfect Pairs, 21+3, Lucky Ladies, Suit ‘Em Up, Lucky Lucky and Buster. Another interesting game is Blackjack Players Choice by 1X2 Gaming where players are allowed to choose from five two-card hands instead of being randomly dealt cards. There are many more unique blackjack variations offered at Temple Nile Casino, each with slightly different rules and table limits. Video poker is not the most popular casino game but it is preferred by many seasoned players who know well that it is better to generate small, yet regular winnings, than to hope for the big jackpot that would compensate them for all the losses. Indeed, compared to most types of games such as roulette or slots, where the outcome is completely random, video poker offers a way to use a strategy and win if you play properly. Video poker combines the excitement of standard draw poker and the randomness of slots, creating a game that is equally simple, fun, and rewarding. Temple Nile Casino members can test their skills in several video poker variations, including standard games such as Jacks or Better or Deuces Wild. There are more interesting versions, however, where you can bet on multiple hands simultaneously – NetEnt’s Jacks or Better Double Up, for instance, where you can bet on up to 25 hands and double up your winnings after a winning round. Other video poker versions on offer include Aces and Eights, Joker Wild Double Up, Deuces Wild and All American. Similarly to most online casinos, Temple Nile hosts a large number of progressive slots, as well. Unlike the majority of gaming sites, however, it does not list them separately within their own category, which could be quite inconvenient for players as they need to browse through hundreds upon hundreds of slots. Still, those slots with progressive jackpots are easy to spot in the lobby as they display the amount of their jackpot beside the gaming icon. Games that feature progressive jackpots are incredibly popular among casino players for one main reason – their jackpots are not fixed but constantly increasing with every bet placed on them. A portion of each bet goes to a jackpot pool that is shared by multiple online casinos and once one lucky player hits the jackpot, he or she receives a massive amount of money – often, this is a seven-figure sum. That’s why, one of the most popular progressive slots, Microgaming’s Mega Moolah, is known as “The Millionaire Maker”. Of course, it is available at Temple Nile Casino but this is not the only game with a mouth-watering progressive jackpot. There are plenty of games by various studios with such top prizes, namely Treasure Nile, Major Millions, King Cashalot, Mega Fortune, Hall of Gods, Divine Fortune, Ave Caesar, Fruitinator, Diamond Jackpots, Gold Frenzy, Irish Riches Megaways, and many others. Featuring around twenty titles from several software providers, the Live Casino section of Temple Nile is not a large one. It is quite impressive, nevertheless, as the games are of the highest quality. They are streamed in high-definition from professional studios and as long as you have a good and stable Internet connection, the performance and response time would be perfect. Each game is also hosted by a professional casino dealer or croupier and players have access to an in-game chat that allows them to communicate with each other. The online casino offers different versions of live roulette, blackjack and poker, but there are also baccarat games, as well as several great releases by Evolution Gaming – Football Studio, Dragon Tiger, and Dream Catcher. 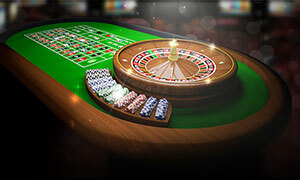 Players can also choose from Live Caribbean Stud or Live Texas Hold’em Poker, Automatic Roulette, Lightning Roulette or the classic Live Roulette. There is also an exclusive version by NetEnt called VIP Roulette where the betting limits are higher. In fact, the table limits are flexible and would suit everyone from the most casual players to high-stakes players. Is Temple Nile Casino Secure and Legitimate? 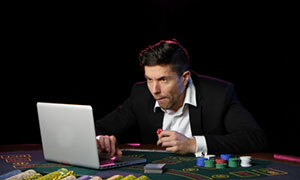 Yes, the casino provides high levels of security by employing RSA encryption, so players can rest assures their personal and banking data is protected at all times. Holding licences from the United Kingdom Gambling Commission and the Malta Gaming Authority, Temple Nile’s operator White Hat Gambling Limited is fully authorized to offer its online gambling services to British and international residents. Are the Games at Temple Nile Fair? Yes, all games offered by Temple Nile Casino use a random number generator (RNG), which guarantees that the outcome of every game round or spin is completely random. Thus, games cannot be manipulated and their outcome cannot be predicted in any way. 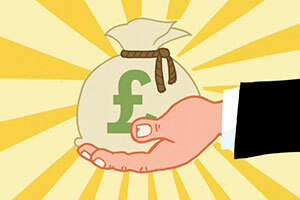 In order to qualify for the 200% Welcome Bonus, players need to make a valid deposit of at least £20 into their gaming balance. 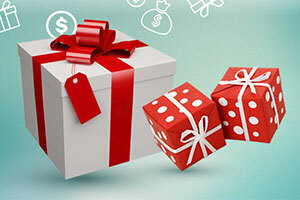 Eligibility for bonuses and promotions also depend on other conditions such as the player’s country of residence. Can I Play Temple Nile Casino Games on My Phone? Yes, Temple Nile is fully optimized for mobile use so that players can access a large portion of its games on the go. 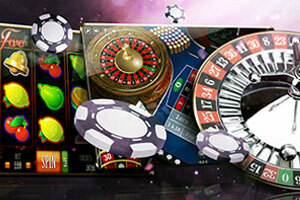 The Mobile Casino can be opened in the web browser of your Android or iOS device and no download is required.